Pavlova is one of my absolute favourite desserts, my Mum used to make strawberry pavlova for special occasions when I was little and I always loved it, there was nothing worse than hoping for seconds (which I always did) and finding that it had all gone! Nowadays I like to make mini pavlovas, for a couple of reasons. 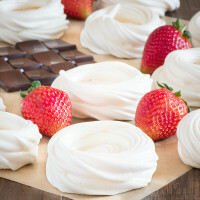 Firstly it stops squabbles over who has the biggest slice, and secondly big pavlovas always look beautiful, piled high with cream and fruit and then you slice them… what had looked so stunning is suddenly more akin to an Eton mess – meringue, cream and fruit in a big (but still yummy) pile. 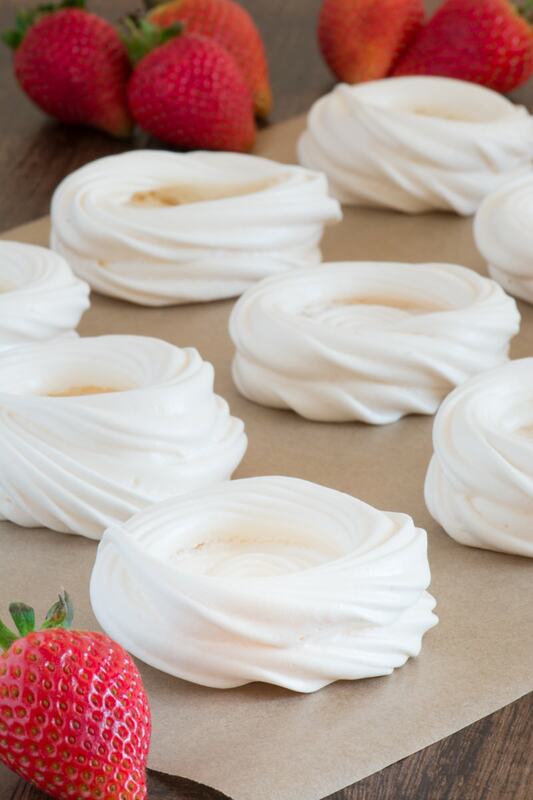 I guess I’m a bit vain when it comes to serving desserts and I like to hand the dishes out still looking pretty, so mini pavlovas are definitely the way to go for me. 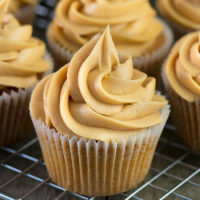 They’re also really simple to make as long as you have an electric mixer (whisking egg whites for meringue really isn’t all that much fun unless you’re after a good arm workout), and a reasonably steady hand for piping the nests before baking them. 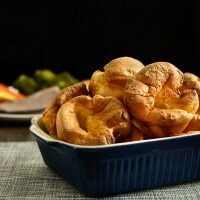 They also freeze brilliantly so you can always make a big batch and then pop them into the freezer ready for a dessert emergency (they don’t even need defrosting, just add your cream and fruit and you’re ready to go!). 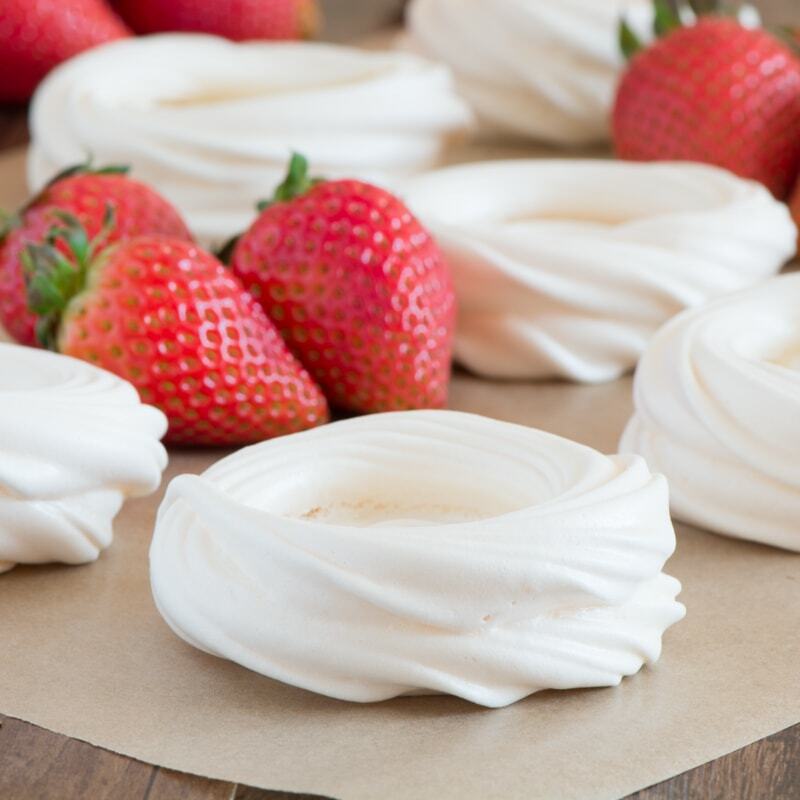 I turned these meringue nests into yummy mini strawberry pavlovas, which I’ll be sharing the recipe for over the next few days. Whisk the egg whites slowly at first until they’re foamy and then only increase the speed to medium. This ensures the air bubbles in the meringue don’t get too big. Keep the oven temperature low – I cook these at 100ºC/80ºC fan. Leave the meringues to cool in the oven without opening the door. Another important tip if you’re planning on making these into mini pavlovas is not to fill them with cream too early. The cream soaks into the meringue making it soft, still delicious but much more likely to crumble. 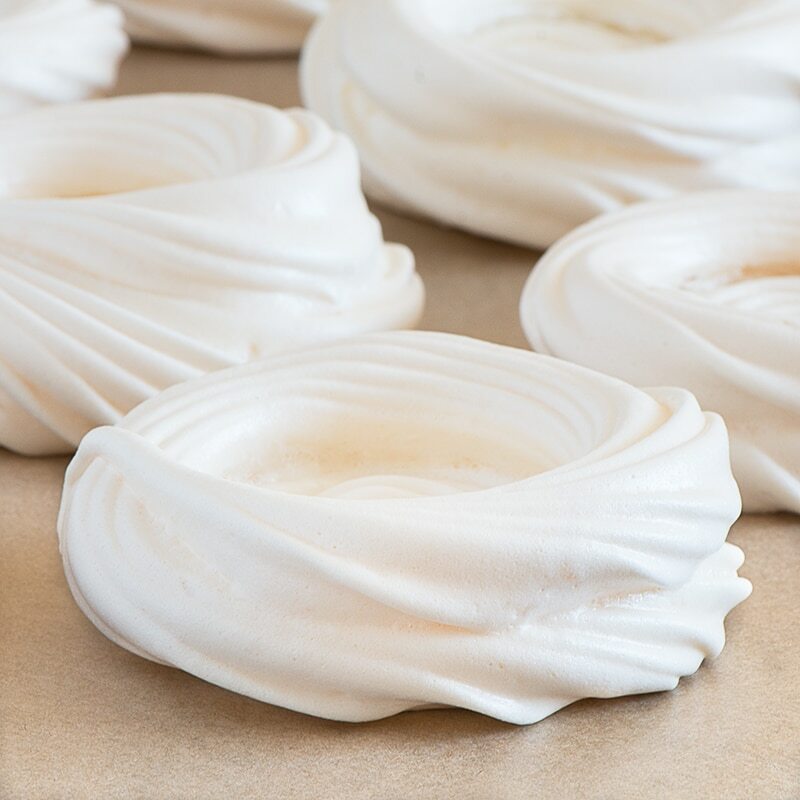 A step-by-step guide to making homemade meringue nests, perfect for making beautiful mini pavlovas. Recipe VIDEO below. 2 large egg whites - I often use the cartons of egg white so I don’t have to find a use for the leftover yolks, in which case you’d need 70g. Put your 2 egg whites into a large bowl and whisk on a low speed until foamy. Once foamy, increase the speed to medium until the egg whites form stiff peaks. Add the caster sugar (100g) a tablespoon at a time and whisk until combined. 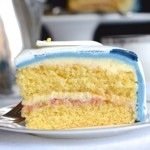 You’ll now have a lovely stiff, glossy meringue. 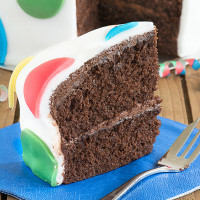 Line your baking tray with greaseproof paper or non-stick baking sheet. 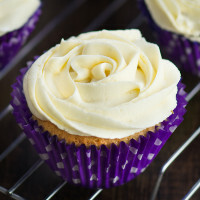 Put you meringue into a piping bag fitted with a star nozzle. Start by piping a dot in the centre of your meringue nest, then in one continuous motion go around the dot twice to make a bigger circle, and then go around again on top of the outer circle to make the sides. Repeat until you’ve piped all 8 nests. 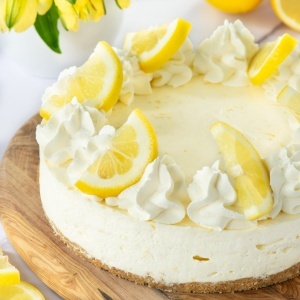 Don’t worry if they’re not completely perfect – that’s what makes them look homemade, and you can always cover any mishaps with plenty of cream and fruit. Place the meringue nests into the oven and bake for 1 hour 45 minutes. Once cooked turn off the oven and DON’T open the door. Leave the meringues in the oven until it has cooled completely and then take them out (the slow cooling helps to prevent the nests from cracking). I usually make my meringues in the evening and then leave them to cool overnight. Remove them from the oven and serve. 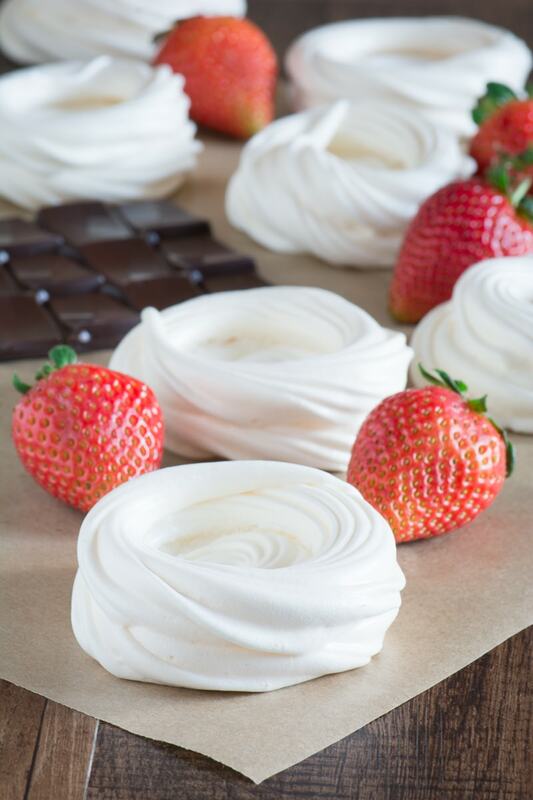 Add additional time to cool your meringue nests to the total time stated (I prefer to cool mine slowly overnight). 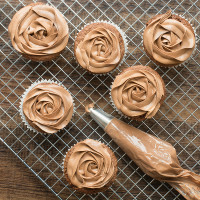 These meringue nests are suitable for freezing and there’s no need to defrost them before using them. What is the oven temp in Fahrenheit and measurements in cups and tsp? 210F the cups measurements are available in the recipe if you click the button which says Convert to US Cups/Ounces just above the ingredients list. They work best if the eggs are room temperature, but they’ll still work well straight from the fridge. stevia, monk fruit? Have you tried any of the above? I don’t think they would work as the sugar not only gives sweetness, it also contributes to the texture of the meringues giving them their crunch and chewiness. I made these for a coffee morning at a toddler group a couple of weeks ago and people are still telling me how good they were. I’m not sure if they all believe I made the meringue myself. I made different types using either fruit or maltesers…the maltesers were the most popular but I preferred the blueberry ones myself. Hi Charlotte, I have found your recipe for mini paplovas which I will attempt to try. 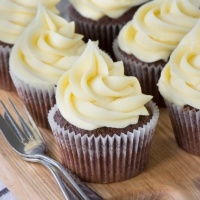 I found an old magazine with meringue baskets, but it said to use icing sugar, not caster sugar, what difference is there if you use the icing sugar. I recently bought a Kitchenaid mixer and what a revelation. 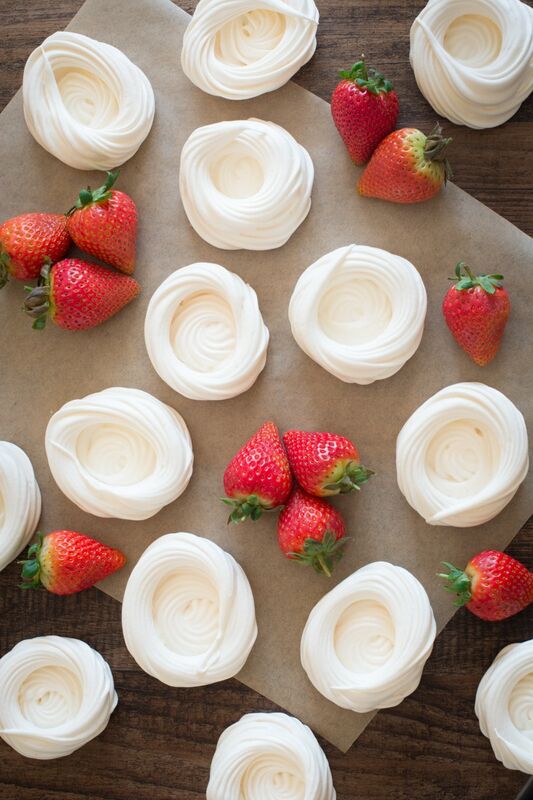 It was so simple to make these meringues and they turned out perfectly. I use a Kitchen Aid too, which colour did you get? I just read your comment Kaylie, and it sounds like you’re adding the sugar before the egg whites have been beaten until stiff peaks form. If you add the sugar too early then it will most certainly turn into a gooey soup. I’ve made quite a few meringues in my time and never had a fail yet. Hope this helps. Hi! I’ve made mini pavlovas several times before but decided to make yours as they seemed simpler than others. However, after two attempts, I think the recipe may need additional comments or revisions from you. The second sugar is added to the egg whites, it turns into a soupy liquid that even after ten minutes of whisking, cannot seem to be undone. I am wondering if the recipe needs cream of tartar, or if perhaps you should add the sugar after foaming the egg whites. 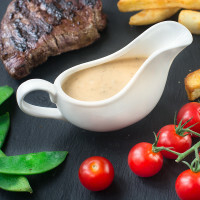 Is there something additional that you do that has been left out of this recipe? Hi Kaylie, What are your egg whites like before you start adding the sugar? 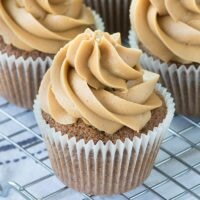 I make it as per the recipe (I know others that have too) and have never had the same problem. Your troubles could be two fold. If there is even the slightest bit of egg yolk in them, they will not whip up. So the idea of using the carton of whites is probably the best way to ensure yolk-less whites. The second reason could be the bowl and/or beaters have trace amounts of oil or dish soap on them. I wipe my bowl and whisks down with vinegar to ensure grease free utensils. Hope this helps. Hi Charlotte, I am going to try making my first pavlova, mini style. If I can’t pipe them would using a spoonfull and shaping with an indent in the middle be of same cooking time? 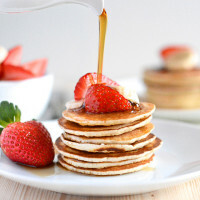 Also I want to increase to 6 egg white so would I have to increase caster sugar by 3x 100 grs?. Yes, you can simply dollop a bit onto the try and make a dent in the middle with a spoon (that’s what I do if I’m not in a piping mood). The cooking time will be just the same. If you’re using 6 egg whites then you’ll need 300g sugar.